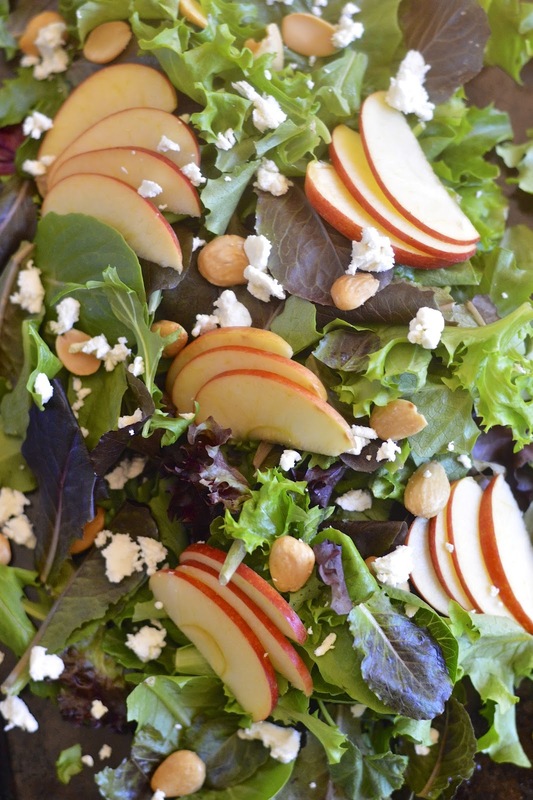 This apple almond salad with a honey mustard dressing is the perfect segue into fall salads. Fresh berries have been replaced with crisp sweet Gala apples and almonds. 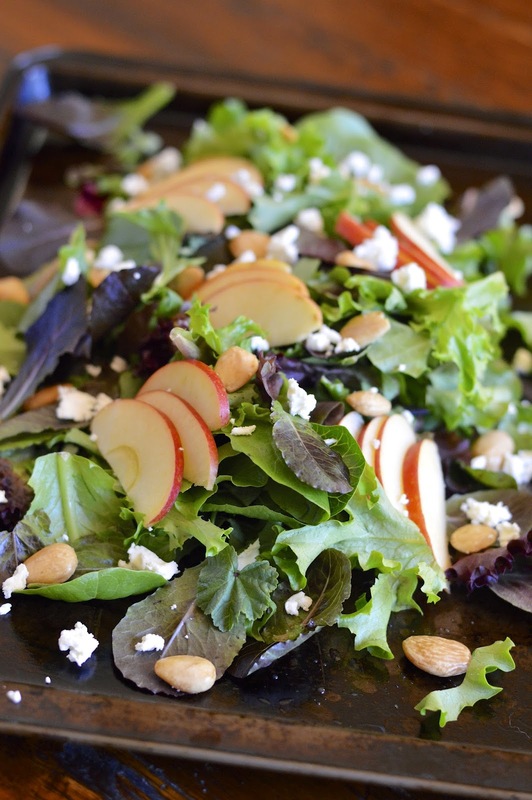 The addition of goat cheese, makes this salad hearty yet fresh and tasty. I love buying pre-washed baby greens. Not only are the greens healthy and flavorful, you can simply add a few handfuls to a bowl and you’ve got instant elegant salad. The baby greens can act as your canvas and then you need to rev up your creative juices to include a few fun ingredients to complete the picture. The combination of almonds and apples is a no brainer. I used Marcona almonds that have a light coating of olive oil and sea salt. On their own they are a super addicting snack. 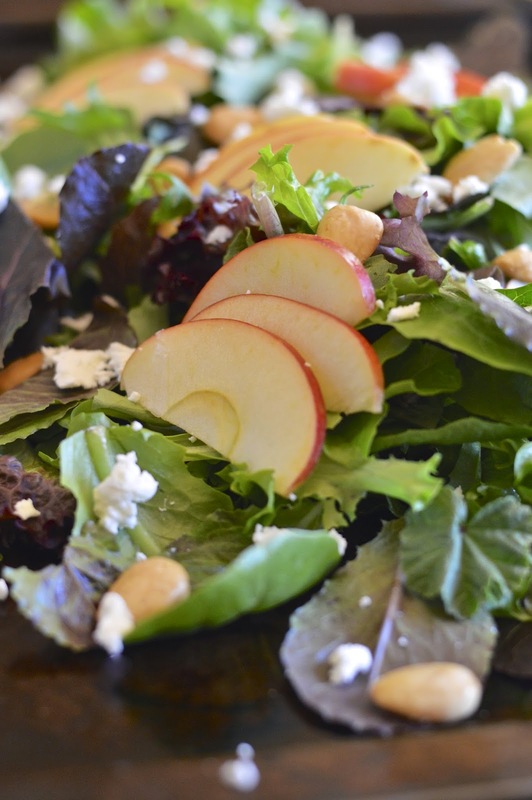 In the salad they add just the right amount of crunch and nutty flavor. As well, I pretty much put goat cheese or feta cheese on all my salads, for it’s creamy wonderful tartness. Finally, we toss this salad in a sweet honey mustard vinaigrette that takes about two minutes to make. 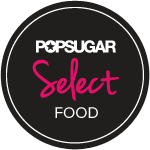 This is the perfect salad to accompany salmon, or you could toast up a crunchy baguette and have a big serving for dinner. We are still experiencing summer like weather here in San Diego, but somehow this salad leaves me wanting to put on a sweater and boots and go pumpkin picking. Happy Fall! 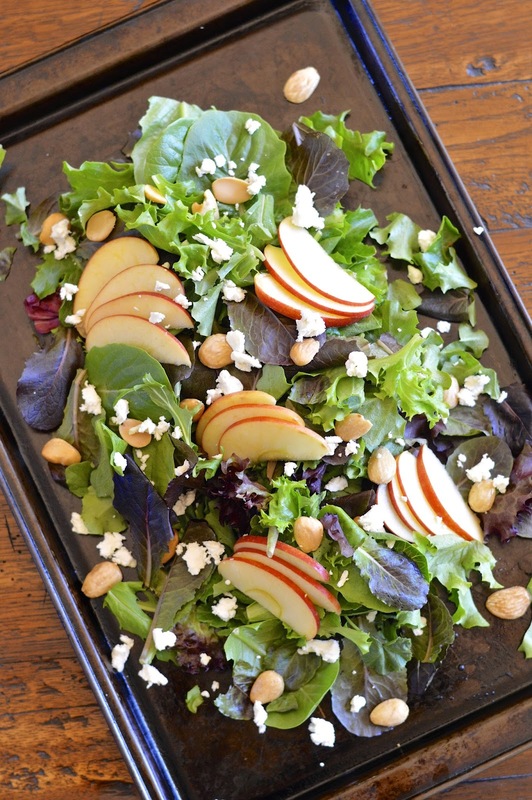 In a medium bowl toss baby greens, apple, goat cheese and almonds. Set aside. In a small bowl thoroughly combine the vinegar, mustard, honey and salt. Slowly drizzle in the olive oil while constantly whisking and the dressing is completely emulsified. 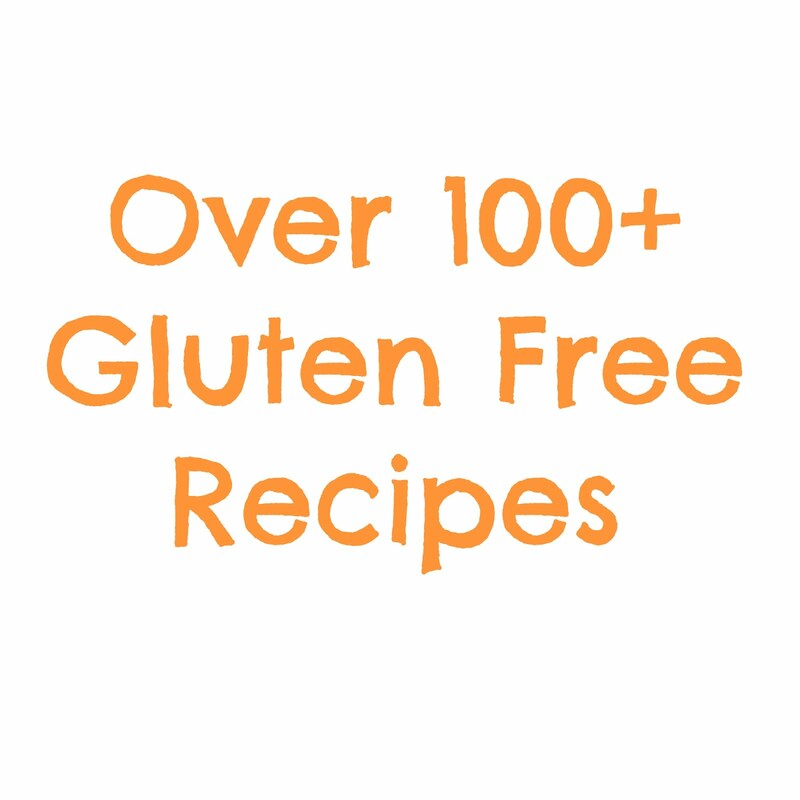 Drizzle salad with dressing to taste and toss (you will probably have some left over dressing which can be refrigerated). Top with freshly ground pepper to taste and serve.